Salty liquorice disguised as a chocolate bar. 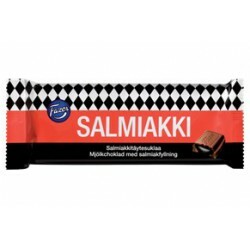 A combination of the two favourites of Finns: milk chocolate and salty liquorice. This is an alliance other countries cannot beat! 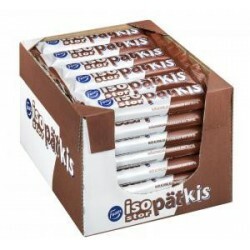 A lot of 35 pcs of Pätkis BIG (36g) The popular Pätkis chocolate bar now comes in a larger size to satisfy a bigger craving. 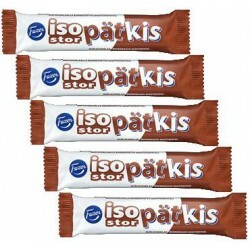 A lot of 5 pcs of Pätkis BIG (36g) The popular Pätkis chocolate bar now comes in a larger size to satisfy a bigger craving. 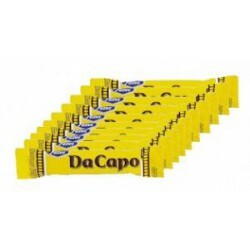 A lot of 10 pcs of Da Capo (20g) Da Capo takes its name from the musical term Da capo, which means "again from the beginning". This chocolate went on sale as early as 1916 and was Fazer's first chocolate countline. The small size and dark chocolate keep Da Capo in the spirit of the times. 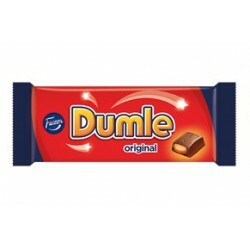 A whole bar with the classic Dumle tastes - enjoy on your own or share. Guaranteed to get you in high spirits! A lot of 5 pcs. 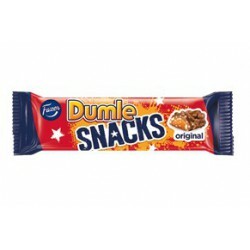 Dumle Snacks mix foamed toffee with rice crispies create an addictive combination! A lot of 5 pcs. A classic from the sixties that will sweep your feet from under you! 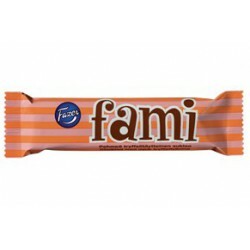 The Fami chocolate bar has a truffle filling that will melt in your mouth. A lot of 5 pcs. Fazerina, a classic that has been around for decades, is always a charming chocolate delicacy. The orange truffle filling combined with the exquisite milk chocolate will take you on a tasty trip down memory lane. You won't forget this charmer! 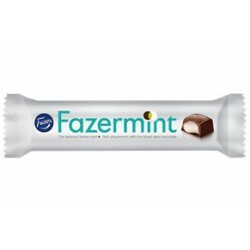 The Fazermint bar - A re-styled classic. The combination of rich Fazer dark chocolate and a delicious mint filling made from real peppermint oil creates a uniquely elegant flavour. A lot of 5 pcs.